Answers may be submitted to NRP Finans AS’ Compliance and Risk Officer Fredrik Holter. 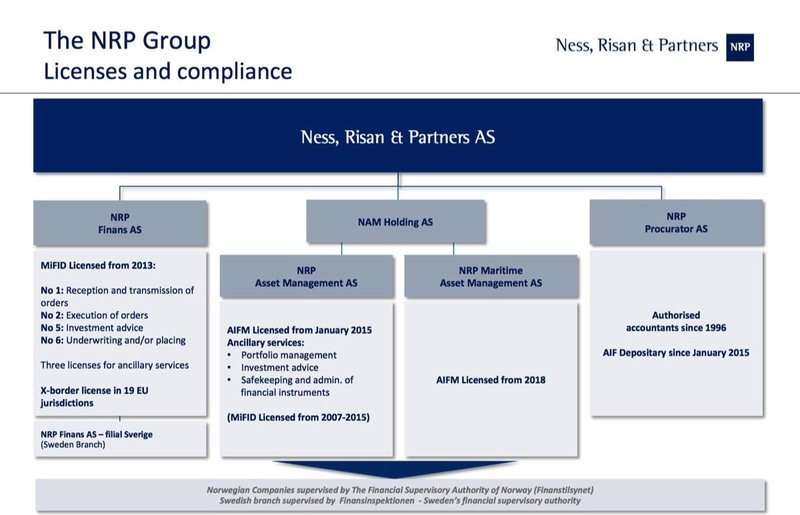 In these Legal and Compliance pages you will find information related to all NRP companies’ licenses, business terms, client agreements and other relevant formal information about the operating entities within the Ness, Risan & Partners AS Group. All private persons or legal entities subscribing to or purchasing shares in projects or funds offered by the NRP Group have to enter into a NRP Finans AS Client Agreement and sign all relevant documents, including Anti Money Laundering and FATCA/CRS declarations. You will find relevant Client Agreements on the Links below. Clients of NRP Asset Management AS enter into specially tailormade agreements and mandates. 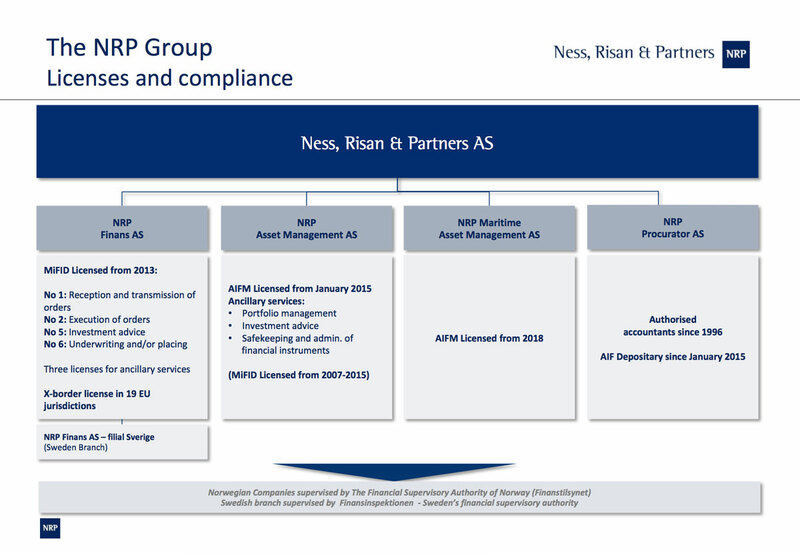 Contact us through the Contact form (buttom of site) or phone +47 22 00 81 81 and ask for NRP Asset Management. Clients of NRP Procurator AS enter into specially tailormade agreements and mandates. Contact us through the Contact forms (buttom of site) or phone +47 22 00 81 81 and ask for NRP Procurator.